I first knew I wanted adoption to be a part of my story when I was 10 years old. There was a poster in the public library of older children who needed to be adopted, and I was sure I needed to be their big sister. While it wasn't something that was in the plan for my family at the time, it has always remained in my heart as something I just inherently knew would be a part of my life at some point. 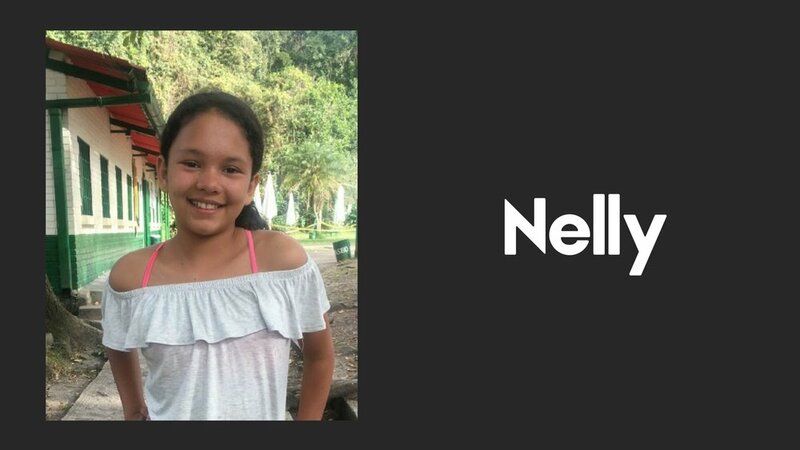 When the church announced the hosting program last summer, I felt that tug, and thought that even though it couldn't possibly be a calling to adopt internationally (after all, MY plan was domestic adoption, and that was probably a few years down the road still), I thought that this could be a way for me to help in a small way in some child's life, and would hopefully lead to that child finding a family. I ended up hosting two sisters--Ketty and Dayana--and I DEFINITELY knew my place was just advocating for them. I had no plans to adopt two more children and I had no plans to suddenly have a teenager. Now I know that God loves to laugh in the face of our plans. 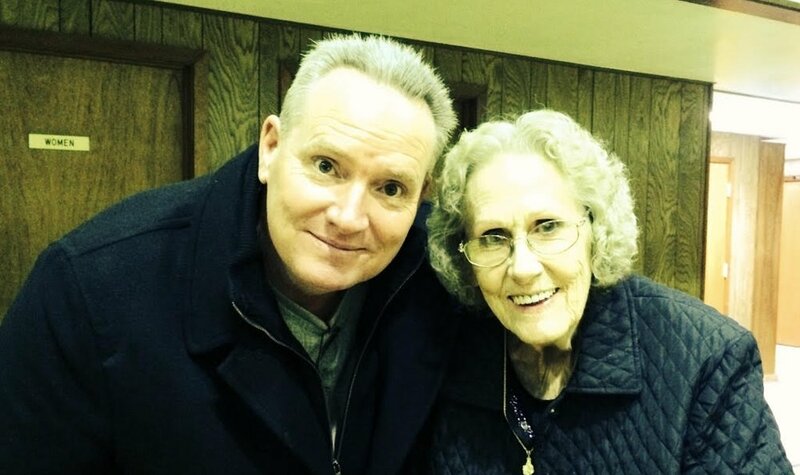 I'm pretty sure I fell in love the moment I met them, and for weeks after they left, I felt like I might be going crazy: every time I spoke with a family about them, or shared why they are so amazing, or prayed for God to find them a family, I heard this voice speaking all of it right back to me. And every argument I threw back, was met with a resounding response of, "I have prepared you for this. This is MY plan for you." And when I didn't want to listen to the still, small voice in my heart, God put people in my life who spoke truth to me. As I cried over their future, one of my close friends basically said, "Why are you crying? You know what you have to do, so why aren't you doing it?" Then I took a leap of faith, and God has had me every step of the way. I have been in awe of not only how everything has fallen into place so easily, but how at peace I feel. I'm not adopting. I'm just bringing my girls home. Caspian Quentin Keele entered the world at 11:25 am Central European Time on November 24, 2014. He was 8 pounds, 3 oz and 21 inches long. He was a healthy little baby with a round face and steel gray eyes. I felt tired, of course, but also content. Our baby, our long awaited little one, was finally within our reach. Trevor and I took turns holding Caspian until it was time to move mommy and baby to the postnatal wing. A nurse took charge of carrying our baby while I attempted to walk to the waiting wheelchair. Instead, I passed out on the floor. They revived me and got Caspian and I each settled down in our own beds. I was given an IV in my arm to combat the dehydration that was making me dizzy, and Caspian and I both fell asleep. When I woke up, I turned on my side to look at my little baby. There he was, in his little bed, breathing deeply in peaceful sleep. I had wanted to hold him. I wanted him by my side. And that was when he sneezed. A sneeze is such an ordinary thing, except when the sneezer is a few hours old. It made me really realize that he was no longer a part of my body, but was a separate person entirely. In a moment when he was out of my reach, my heart was flooded with joy for the gift we had been given. I can only imagine, from my experience, the range of things God must have felt and thought as he watched his Only Son coming into the world, being swaddled and placed in a manger, sleeping and sneezing. Just like Caspian’s birth was a welcome end to my pregnancy, Jesus’ birth had been planned for quite some time. But it meant that Father and Son, parent and child, had to separate for a time in a way they never had before. And that would make any parent’s heart ache. Instead of being at his Father's side, Jesus was in a manger, sleeping off his entry into the world, lovingly wrapped in swaddling cloths by his young mother. And whether it was from the hay that was keeping him warm, or a bit of animal dander, or dust in the air, Jesus might have sneezed. And with joy, God signaled the angels: it’s time for a birth announcement in the fields. Go and tell humanity what they have been given. 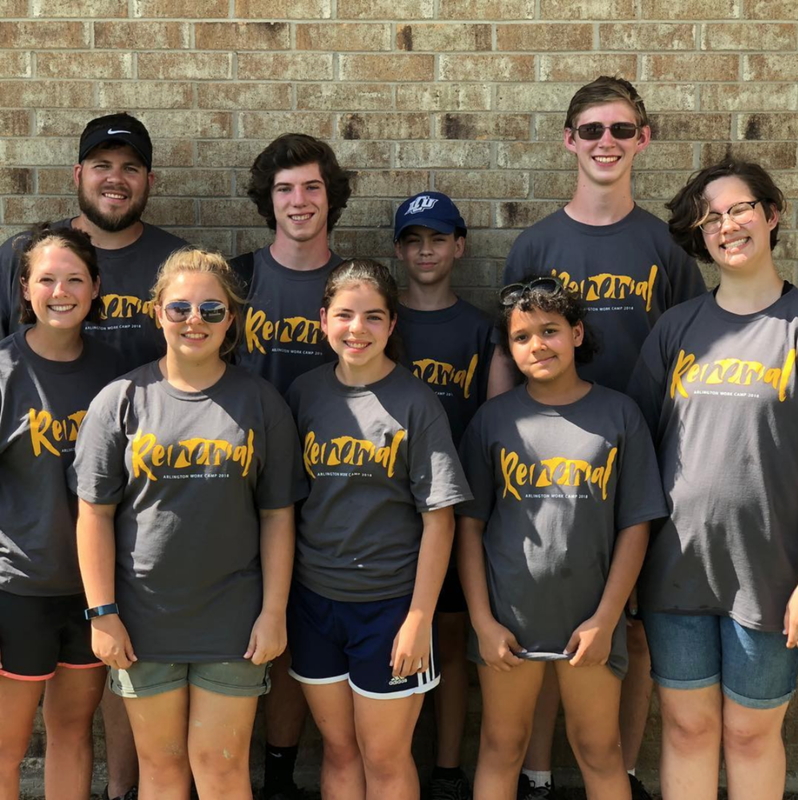 This past week I participated in a work camp in Arlington. The work camp works with code enforcement to find out what homes in the area have been fined. Then the local church that hosts the camp goes out and asks residents if they’d like their yard and house redone for free. In exchange, they asked the residents to tell a bit about themselves so that the students would know who they are helping. The students that participate in this camp spend $50 to participate. This money is used for the materials that are needed to repair the houses. This year there were nine groups of about twenty kids. One group, “Special Forces,” was assigned the job of cutting down overgrown bushes and trees. They also would fix the rotten wood on the house. 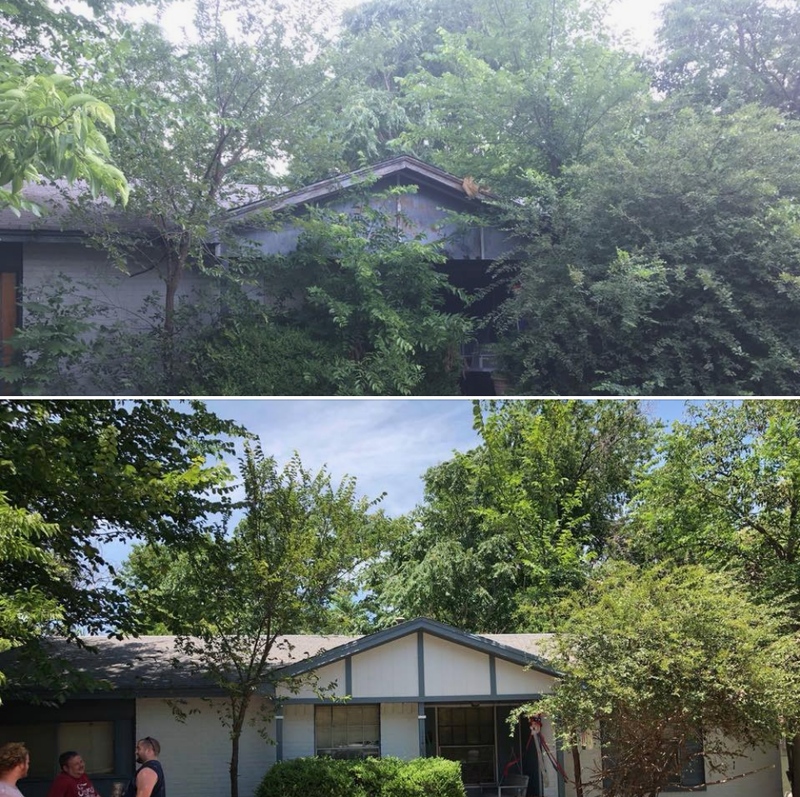 The other eight groups were put in charge of scraping old paint off the house, adding fresh paint to the outside, repairing windows, and clearing any smaller plants or branches out of the way for the owners. As a student that participated in this camp this year I was touched. The couple that my group helped had a sad story. The husband was an alcoholic and the wife had cancer. The husband was so grateful each day for all the work that we were doing. He brought us popsicles and cold water one day to show his appreciation. On the last day, he wheeled his wife out, and she got to see her freshly painted house and wheelchair ramp. She was so moved that she cried. It made me see how God used my group to help just this one family and made me glad that I got to go. It was hard and hot work but when I saw their faces on the last day all that I could feel was love and joy. I can’t wait to participate again in the future. I would encourage anyone that gets the chance to do the same. I’m struggling. You know that, yet I continue to struggle. I’m hurting; I’m confused; I’m angry; I’m searching. I want to be a better person, I want to shine your light, reflecting the rays of your love. But instead, I continue to fall and remain an angry and broken person. I keep trying. Why did you make me this way? Why is it necessary for me to struggle so much, and see so little progress? I know things take time, but when is enough? The loneliness is almost unbearable, and there just doesn’t seem to be an end in sight to the pain. I hate being an angry person. Please let my brokenness be complete so that I can move forward. Shelter me, God. Let my faith be more than my words, greater than the song I sing. The pain I feel right now won’t compare to the joy I experience in Christ. Make this true father. Watch over my heart and help me serve others. I am tired of living just for me. God, I pray you break all the chains of my selfishness. I wrestle, but will remain steadfast. Help me to be the servant you want me to be. Allow me to work for your good. Let me be the man who truly seeks justice, loves mercy, and walks humbly with you. Show me the path. Selah. Church, let me tell you now that it doesn’t matter what road you’ve been on, or what road you’re on… it’s not the one you have to stay on if you aren’t following God’s will for your life. The broken pieces of our past are simply that, past. They don’t define or determine who we are. I was ashamed, hurt, angry, and confused; and it didn’t end for some time. Some of the things that happened didn’t change. But through the suffering and pain I was experiencing in the upheaval of my life, I knew there was something more. 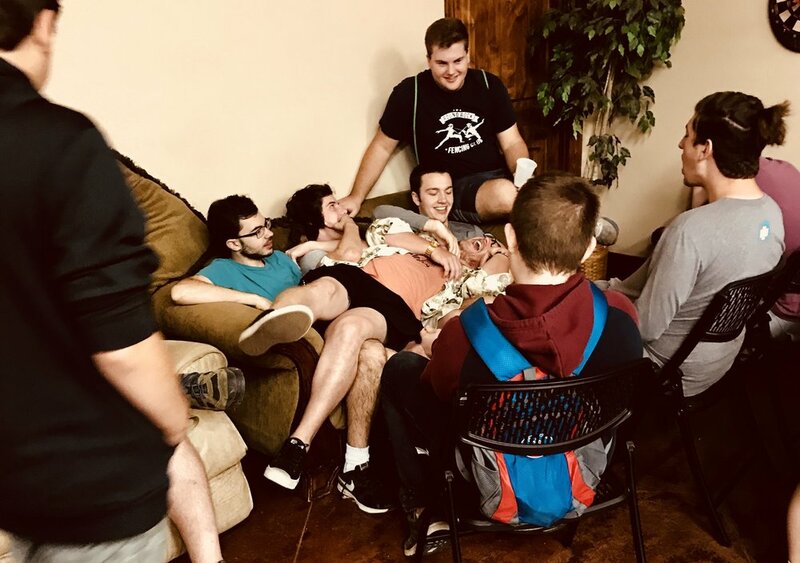 I got plugged in with real community through some brothers in this room, and into a new small group who’s deeply embedded in each other’s lives. I was invited to attend a weekend getaway free from worldly distractions, a spiritual renewal of sorts where the spirit of God unmistakably showed me more clearly the paths I needed to take in my life. It’s been incredibly humbling to see how God has chosen to use me to be there for others who are suffering by lending an ear to listen, a shoulder to lean on, and an advocate in prayer. Communion is a place where we celebrate suffering, where we remember a terrible loss and even participate in it. Paul asked the church in Corinth, "Is not the cup of thanksgiving for which we give thanks a participation in the blood of Christ?" -I Cor. 10:16. We are people of the cross, people always looking for good in our pain, and always giving thanks for the transformation we find in suffering. As we prepare for our communion time, I am going to share with you a challenge that I experienced that brought me closer to God. It was a job transition. I’m going to preface it with a passage from 1st Samuel, and then a special inspirational thought my dad shared with me when I was a youngster. First, the scripture…I’m going to read I Samuel 7:10,12. 10 While Samuel was sacrificing the burnt offering, the Philistines drew near to engage Israel in battle. But that day the Lord thundered with loud thunder against the Philistines and threw them into such a panic that they were routed before the Israelites. That’s the scripture, now I’m going to cut to my teenage years. One day as I was doing my homework, my dad came in and sat down. He told me that his employer had folded their operations, which left him without a job, but in the same breath said that he couldn’t wait to see what God had waiting for him (and us) around the corner. This demonstration of his faith transferred into my “wiring” and reassured me many times after that. Before we moved here, my wife and I were living in the Houston area. I had been working at the same company for 13 years. There were some cutbacks, and my job was eliminated that November. I let my Christian brothers and sisters at church know about my job search, and so it was great to have them praying, but since it had been several years since my last job change, it took some time to get my resume together. I thought I could find something quickly, but the phone interviews I had weren’t going where I hoped they would. 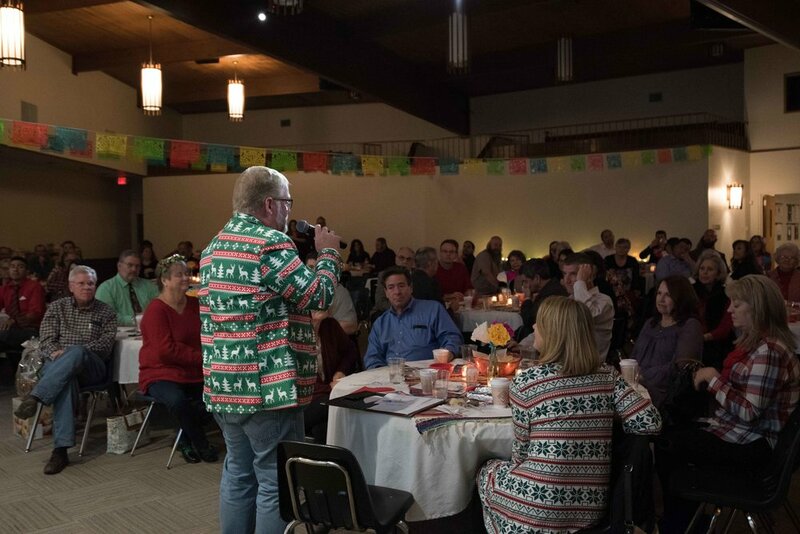 I found out about a weekly networking group that met about an hour away from my part of town on Wednesday mornings, called “Between Jobs Ministry” and I was strongly encouraged to go, so I did. I found out that this meeting was a ministry of a church, and that it was the main outreach that the church focused on. And it was fantastic. One of the breakout sessions was led by an older gentleman who was no stranger to a podium. He had an overhead projector, and about 10 transparencies filled with inspirational scriptures to remind us of the God that loves us. One of his pieces of instruction that I took to heart was this: …so begin thanking God in advance, because his timing may not be our timing, but be assured that if you believe in Him and are praying to Him, that He will answer that prayer. In the meantime, take time to perfect your skills and your resume, but also to help someone else. When you’re networking, ask what you can do for them. Oh sure, I worked hard during that period. But what I remember the most is the amazing people that God put in my life, and what happened when I was on my knees and acknowledged that He was in control. Well 5 months after getting laid off, I got an offer that I accepted. And I ended up getting to be near my grandkids, and getting to meet a whole new set of friends here. And here we raise our Ebenezer, remembering that God has been with us up to now, and that he has no plans to stop loving us. "We gather to offer thanksgiving for the suffering Christ, crushed and made new. We gather to offer thanksgiving for our own suffering, suffering making us new." 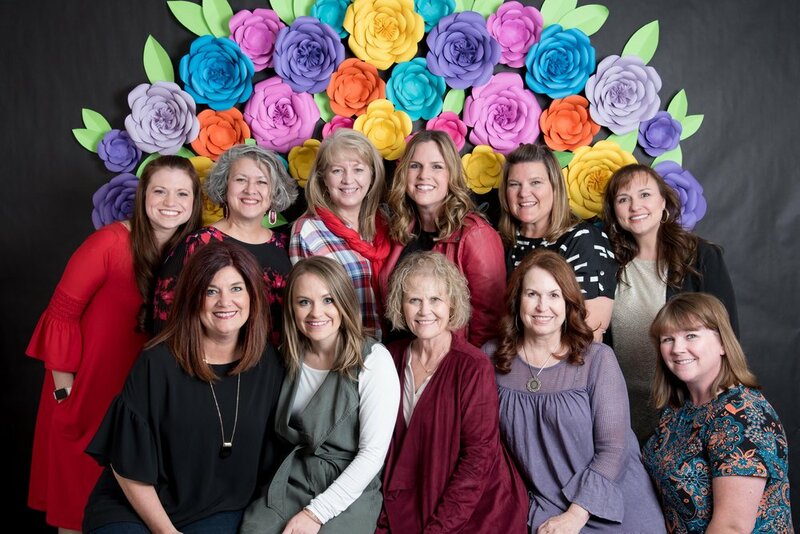 A few weeks ago our women gathered in Salado, TX for our 2018 women's retreat. 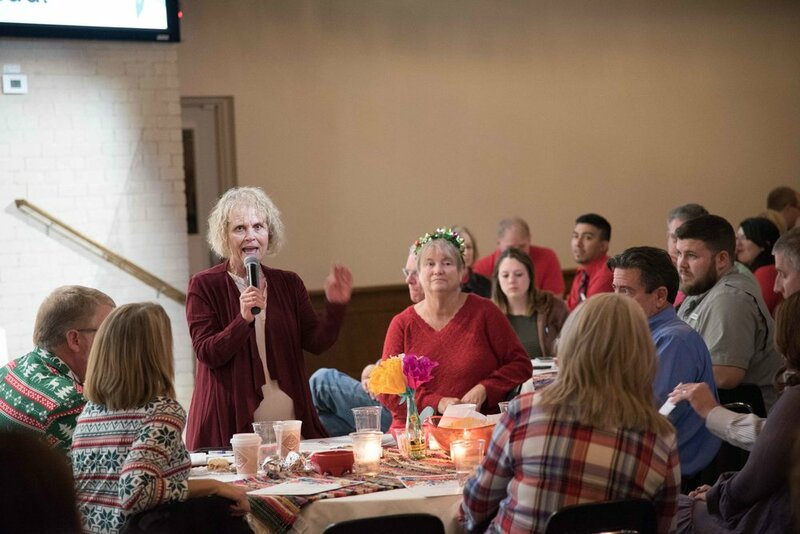 Our speaker Arlene Kasselman led our hearts and minds in purposeful reflection on what it means to be loved by God and how that one truth shapes our identity and actions. After attending this year's women's retreat, what are you going home with? What did you learn? Pamela Crider Champion: I learned that God will take what I can do, my interests, my passions, my life and meld that with what He wants me to do. Simple but difficult. Amber Benskin: The law was given not out of a means to dictate to us rules but rather to show us how to live in better community with another. Even God's cleansing of the temple was because of those being marginalized. Lisa Seward Shultz: I do not have to live in the past, feeling guilty about things I have done and things that have happened to me. I can let go of that "baggage" and trade it for better things, things God has intended for me. I need to step into the role of my true identity. Believe all the things that God says I am. Your (my) worth has been taken out of your (my) hands and decided in your (my) favor. Relating this to my identity in Christ as described in Ephesians 1&2, I am adored, redeemed, forgiven, chosen, included, loved. Tiffany Sanders: When we remember who we really are and whose we really are, it’s a game changer. By filling ourselves with the words He identifies us by, we become amazingly free and whole again. Tanja Whitehead Wren: I learned the importance of discussion. I went into small group thinking a certain way and through the course of discussion I was challenged in my thinking. I was also able to see characteristics in myself that I hadn’t thought about but were shared by others. Without discussion it is impossible to truly grow and understand. 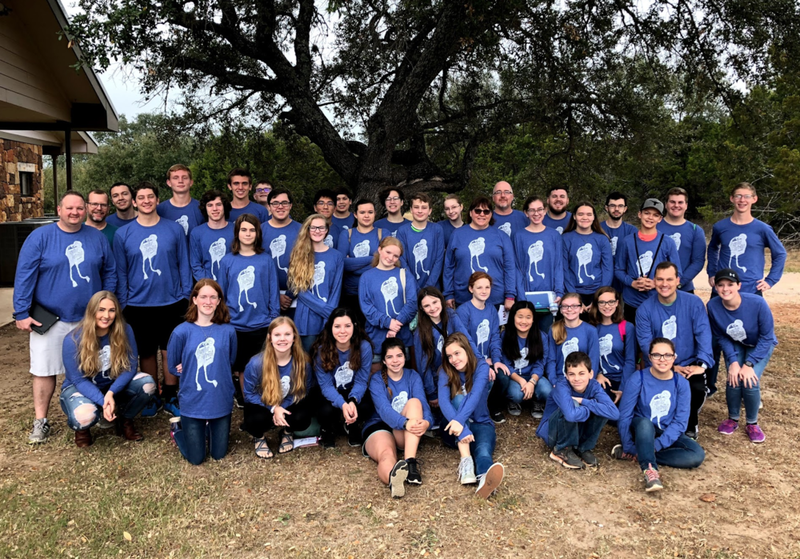 On Sunday, the speaker gave the students some practical (though wacky) ways to live these truths out, like leaving an open seat for Jesus or taking a walk with God (and talking to him like he’s walking right beside you). 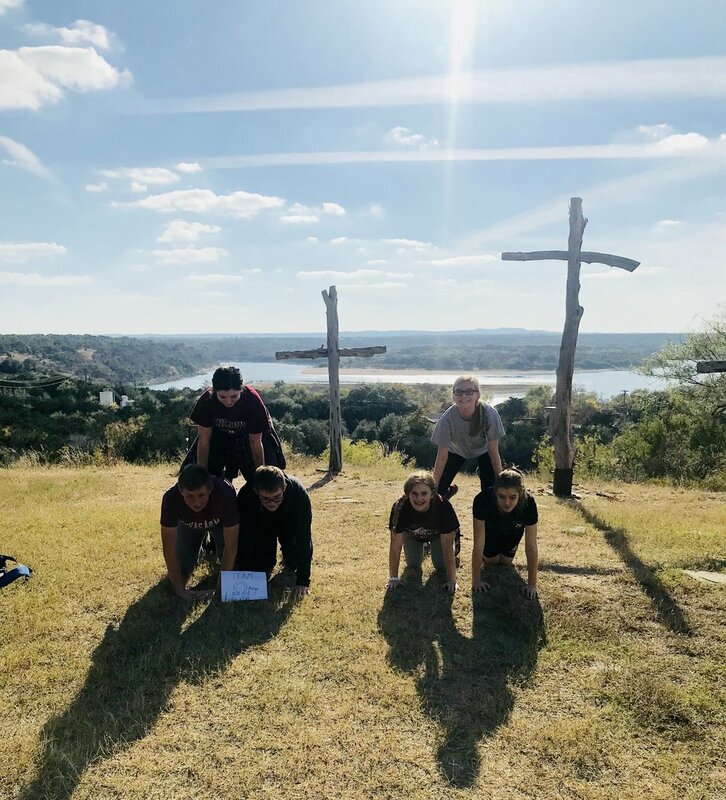 Over the weekend the students grew closer to one another playing different games, but the big activity that everyone will remember was the scavenger hunt. 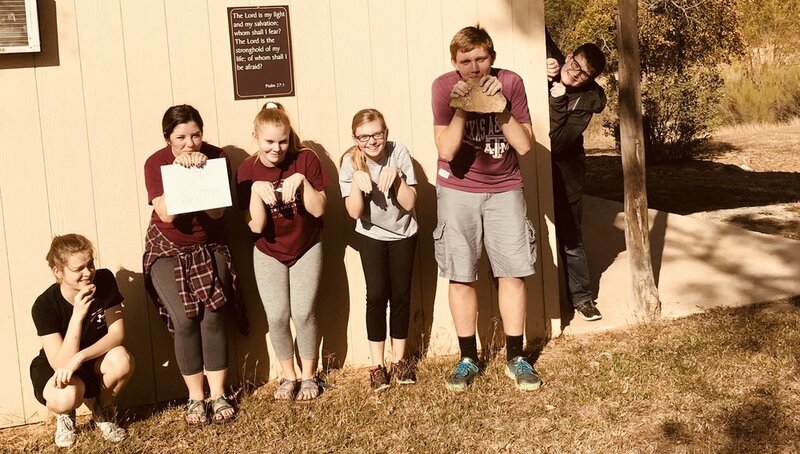 Not because it was a standard run of the mill hunt, but because while the students were hunting for clues, they were also being hunted. 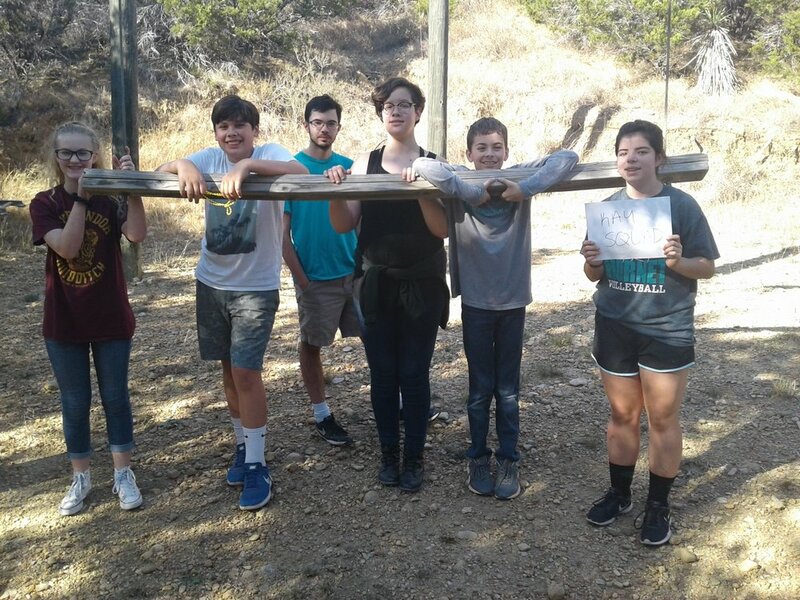 George, our speaker, drove around in his truck and “captured” groups, making it a great game of cat and mouse while students simultaneously tried to find all of the clues and evade capture. Everyone also had fun bonding over smores, "banana surgery," and hanging out during down times. This Sunday our church joined in with people across our country to observe National Adoption month and call attention to the great need and opportunity for Christians to pursue adoption, welcoming into our homes and families those children who've been abandoned, neglected, or whose parents simply can't manage their care. We read from Psalm 68: "But may the righteous be glad and rejoice before God; may they be happy and joyful. Sing to God, sing in praise of His name, extol him who rides on the clouds; rejoice before him--His name is The Lord. A father to the fatherless, a defender of widows, is God in His holy dwelling. God sets the lonely in families, He leads out the prisoners with singing. " And we reaffirmed our commitment to partner financially with members who want to pursue adoption. 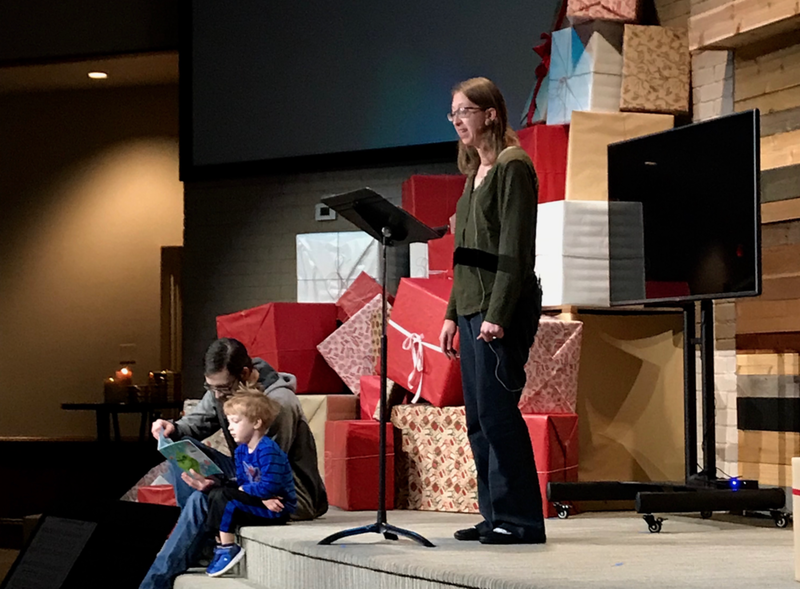 "Late last year we shared that because of your generous giving and our heart for orphans, we wanted to financially enable a couple from our church to adopt a child into their family. To our surprise, two couples emerged, and we excitedly walked with both of them on that path. However, both of those couples, for varying reasons, have chosen not to adopt at this time, though they have no less of a desire to adopt eventually. We remain committed to this, so we’re praying that there might be another family in this church who wants to bring a child into their home. 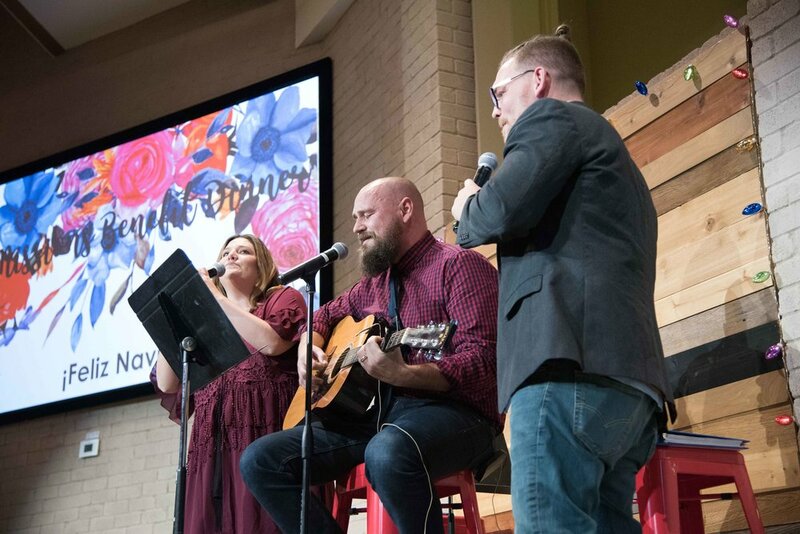 We hope God works or has been working in the hearts of members of this church to move them to adopt, because our intent is to come alongside that family financially and take the financial obstacle out of the way. And if there are a couple families, we’ll look for a way to help them both. If God is leading you to adopt a child, please talk to us. Because your church is ready to help. 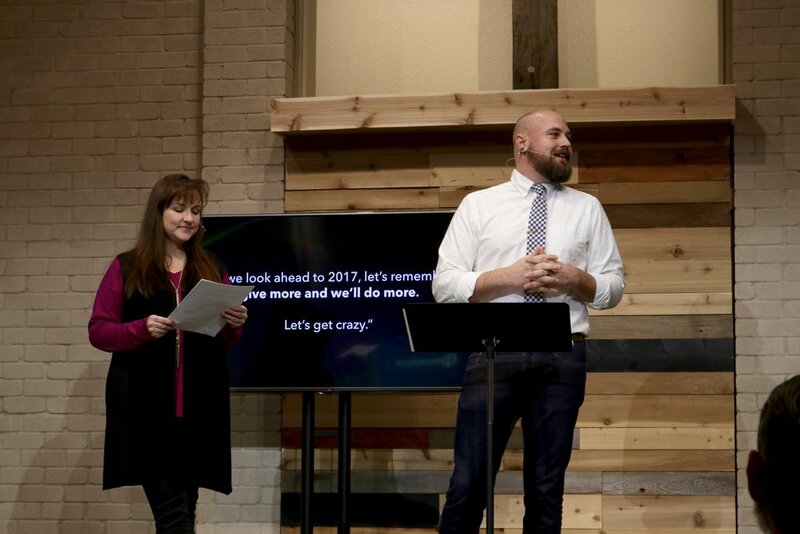 Beyond that, we’ve got something we’re excited to begin today as a church. We know that adoption isn’t something God wants for everyone. (Though he may in fact want it for you.) BUT we can certainly all pray for children who are in need of a family. And since it can be hard to get your heart into praying for orphans in general, we want to introduce you to 4 particular children. This is NELLY—she’s 12. We actually met her this summer andshe’s so sweet and beautiful and would make a lovely daughter. 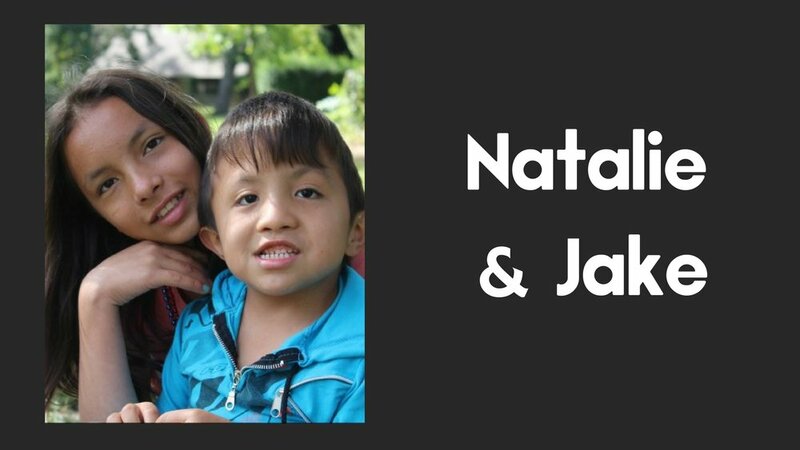 This is JAKE and NATALIE—Jake is 6 and Natalie is 12. They are siblings and want to stay together. 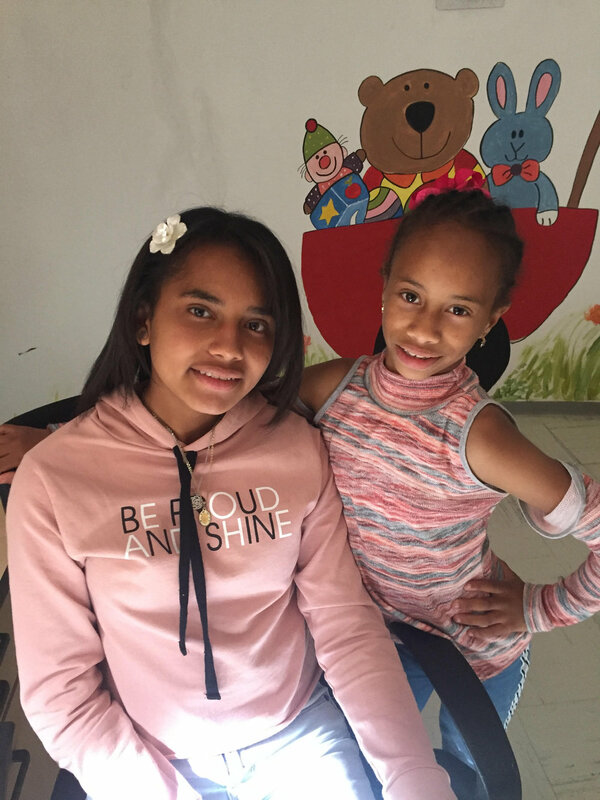 All these children live in Colombia and are all in need of a forever family. Our church has been told about these kids through Lifeline Children’s Services which is the adoption agency that connected us with Finn. So we’re going to pray as a church that our Heavenly Father would bring them into a home. AND We’re going to remain open to the fact that the home God may have in mind for one of them...may be one of ours. WE WANT YOU TO PRAY THESE KIDS HOME! We want you to pray for them every day that God will connect them to parents. We’ve got a magnet for you with their pictures on it to help serve as a reminder for you. 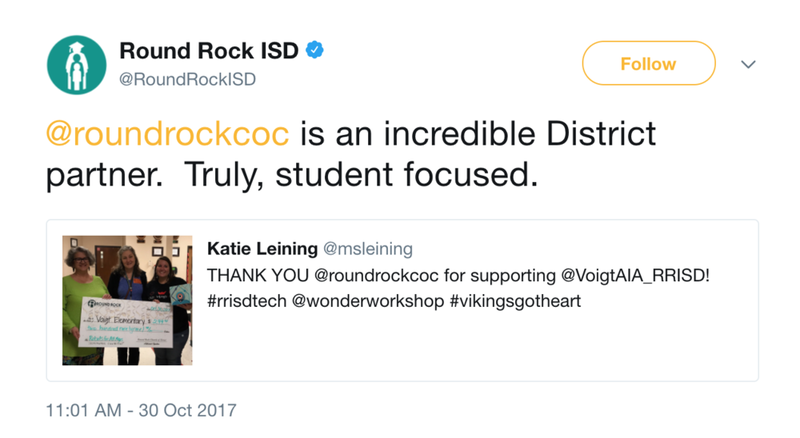 And, WE WANT YOU TO ADVOCATE FOR THEM! Tell others about them. Share their names and faces. And, we want you to do this until they’re adopted. We will keep you updated as we receive updates from Lifeline. This is a great thing to do if you’re single, it’s a great thing as a couple, it’s a great thing for you to do with your kids. And what a joy it will be for us to join together in this effort to get them home! So if you’re up for this challenge, grab a magnet off the board in the foyer after worship, DEFEND THE FATHERLESS, and live love." 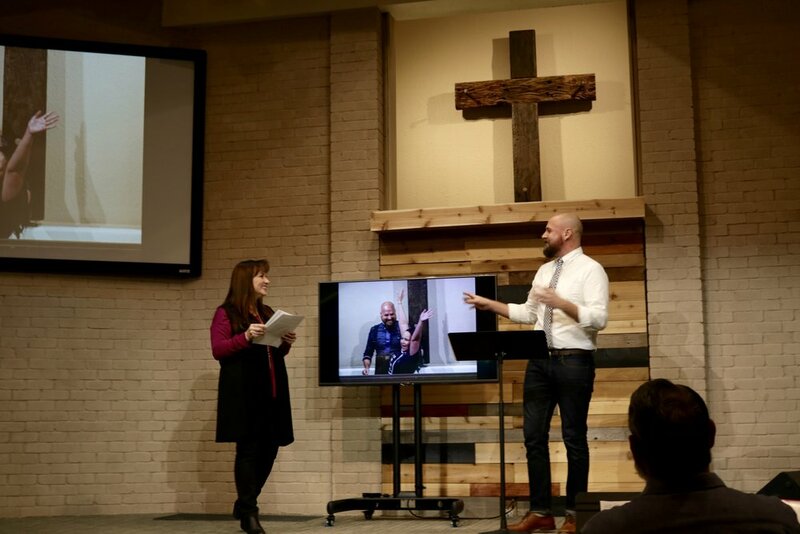 After this announcement, Finn Burgess, Dan and Leann's adopted son, led us in prayer, and though we didn't understand every word he said, we all joined with Finn in lifting up our hearts to God, asking Him to open us up to the work He intends to do in and through us. Our prayer as a church is that God would be calling at least one family among us into the good work of loving a child who desperately needs to be loved. If you didn't grab a magnet this Sunday, you can get one next week. We're devoted to praying for these kids for as long as it takes before they're adopted, so it's not too late to jump in and help. If you're considering adoption, just let us know at info@rrcoc.org. This year just as school began, our oldest student ministry students washed the feet of the incoming sixth graders. This ceremony, something our students do every year, never fails to be a beautiful and powerful symbol of love. 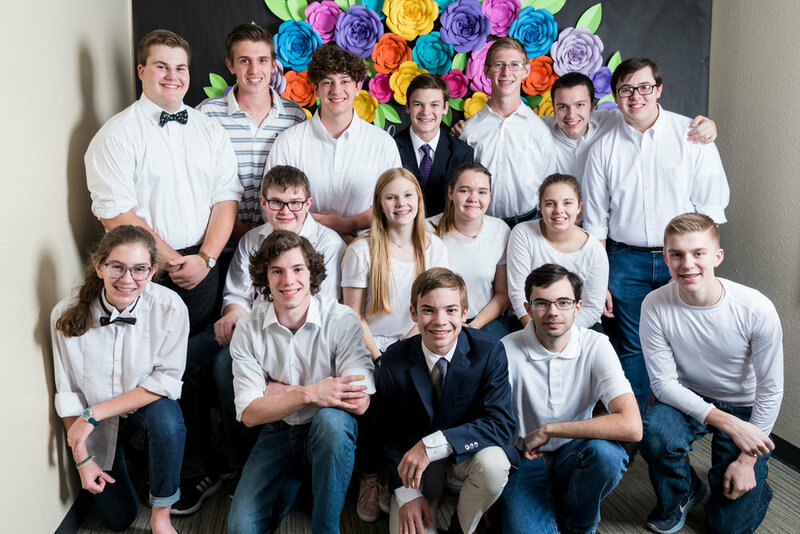 It's an assertion from our high schoolers that they're not above or better than these younger kids and that they exist to serve them, to serve as examples and as big brothers and sisters, including them in the life of the group. Ava Collins, a sixth grader, wrote the following words about what the ceremony meant to her. She said, "As seven high schoolers walked out to wash my and six other new sixth graders' feet, I felt kind of excited and kind of nervous!" Ava shared that they'd studied about Jesus washing His disciples' feet in love. She wrote, "The high schoolers were going to wash our feet to show us that though they are older than us, we are all the same. When they knelt down to wash our feet, it felt strange and kind of awkward, but it was very special." Congratulations to all our new student ministry kids! We're praying that the next seven years shape you in powerful ways, leading you closer to Christ and closer to His people. This girls’ retreat weekend has been a wonderful way to relax and grow closer to God and my fellow young ladies. 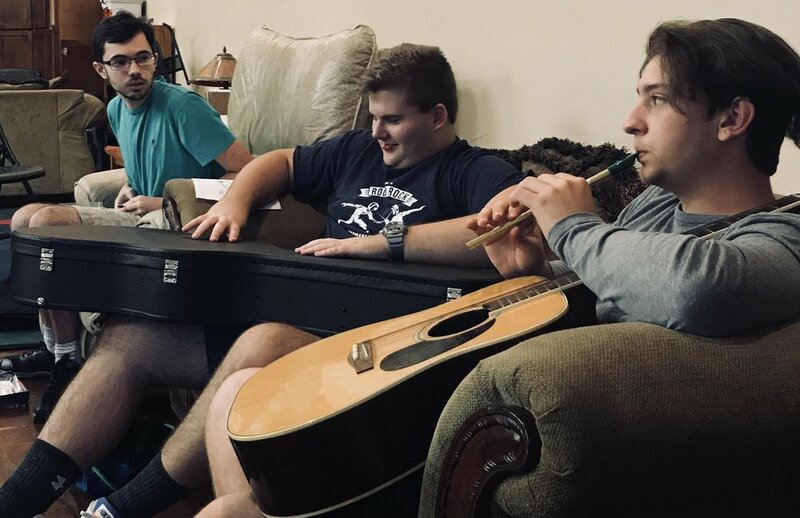 Learning more about God from our elders is always a blessing, One of the advantages as part of the youth group is to learn from christians of all ages. 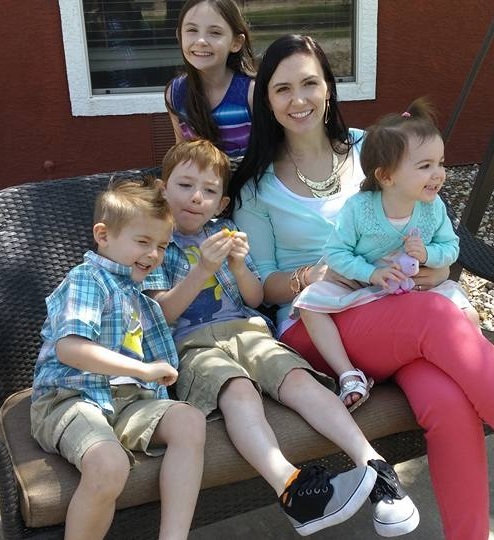 The speakers gave us all different points of view on how we can be the beautiful, intelligent women God wants us to be, teaching how to live love and use our power for those around us, Jennifer Gerhardt told us Abigail’s story. She reminded us we each have power we can use to serve others. The other two speakers, Emily Sumpter and Linda Kay, taught us about how we need to trust that God sees us as beautiful. Together they taught us that we are special and that God has given us what we need to do his work. Throughout the weekend we did “ice-breaker” activities and unexpected silly games. These helped pull us closer together and get to know each other better. I enjoyed this weekend immensely and got more out it than I thought I would. Thank you to all who contributed to the girls’ retreat. Being baptized at the age of 25 was a blessing. I was old enough to knowingly understand and make my decision after being exposed to massive amounts of skepticism, doubt and denial that was shed on Jesus, the Bible and Christianity. Before my baptism, I lived a life of very heavy sin. About 3 years before being baptized I lived a more balanced life, I had grown far away from who I was, trying to forgive myself for the past that followed me like a shadow. Heavy guilt, secret shame and embarrassment. Until one pivotal moment. The moment that I realized that It was not my forgiveness I had so badly yearned for. It was Gods forgiveness. I remember looking into my husband's eyes before I was leaned back into the water……I remember the feeling….I had longed for the moment, God had given me someone that would deliver to me to his front steps…to take a dip into forgiveness and begin a relationship with God. If my husband only knew what he did for me in those moments. If God only knew how thankful I was that I was to be there in that moment. Thoughts that crossed my mind while getting ready to step into the water: “Am I worthy? Can I really be forgiven for all that I have done?”………When I was brought up from the water the feeling was almost instantaneous, there was a huge weight instantly lifted from my being, I felt clean, I truly felt forgiven. From that moment on I felt the strong presence of God. I began to feel convicted for things I used to do that I never knew was wrong. In spouts of anger I would say hurtful things, but now I have a strong magnet like presence, a voice, a whisper, a thought telling me to refrain from anger…..I only want to love. I have an atheist sister that I had a deep hatred for, with nothing but bad things to say to her and about her….after being baptized now I feel nothing but love and the presence of God helping me to forgive, because after all …..he forgave me. This all sounds like something someone would write as a “lets get baptized add”, but this is me…..this is all happening to me…. a far from normal person that used to think religion was a way of “Controlling the masses”. It felt like getting baptized set me into a frequency that I wasn’t able to receive before. I began constantly asking myself how would Jesus handle this situation if he were here? (I mean ME, of all people, literally asking myself WWJD, sometimes I would smile to myself..). In past relationships it was all about me, what was I not getting, what was he not doing for me. However in my marriage, after being baptized I see this man that has vowed his life to God and to me and I can only love him unconditionally. I couldn’t bare to hurt him, and I cared more about his feelings than my selfishness. After being baptized, something else happened…I work in the medical field in the hospital where there can be so much pain, sadness, confusion, and death. I would sit with patients or their families and listen to their hardships, sometimes there is a nudge within me….someone telling me to pray for them…...and not being able to ignore the strong heart pounding request, I would ask them if I could pray with them. Someone who isn’t “good” at prayer, someone who is SO uncomfortable praying out loud. But It was God, using me to comfort others. 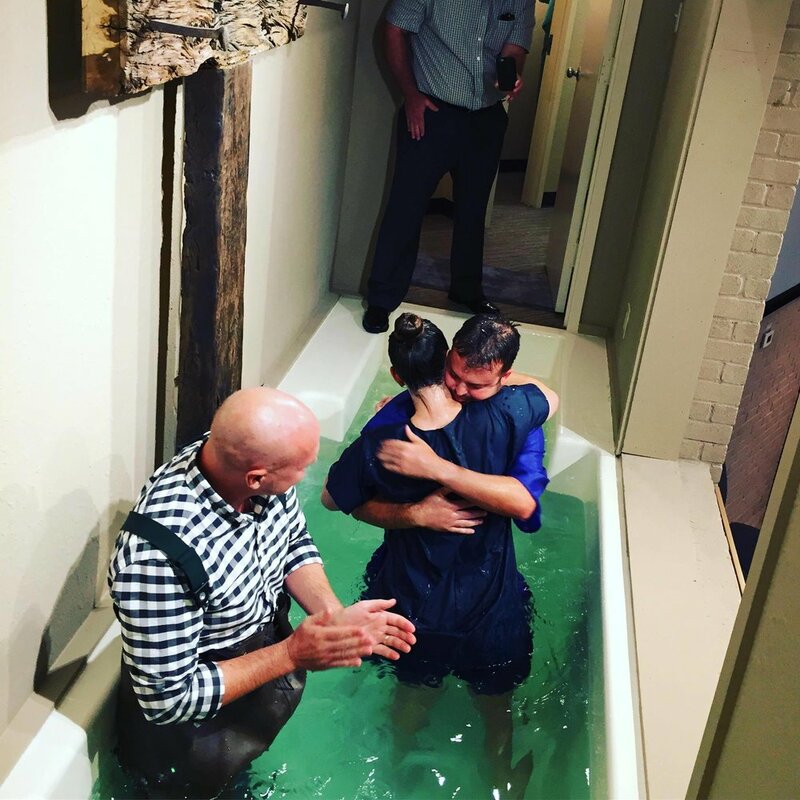 I think what being baptized taught me most of all is that God worked on me for so many years. He never gave up on me. He loved, and forgave me like no one ever has or ever will. In seeking him, I found him…….and I also found myself and my true calling which is to be a glimpse of light for those in the dark searching for God.